Did you know giving your child cough mixture could do more harm than good? Well, for Dr. Oliver Bevington, a senior pediatric registrar at Southampton Children’s Hospital, this holds true and here’s why. In a post by the Daily Mail UK, the doctor warns that children under the age of six are more likely to be affected by over over-the-counter medicines if consumed in large doses. 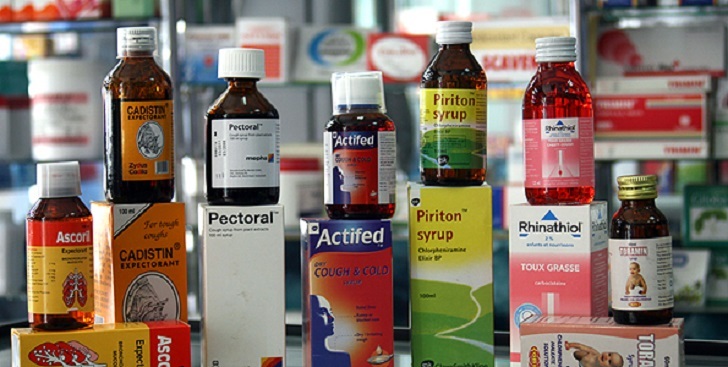 He added: ‘A lot of cough and cold medicines contain active ingredients such as nasal decongestants, antihistamines and “cough suppressors” that may, in large doses, have adverse effects or be toxic if consumed in large quantities – particularly to the under-sixes who are much more susceptible. ‘They may also contain paracetamol and parents may unintentionally find themselves overdosing their child with cough medicine and paracetamol. As with any medicine, there remains a risk that any of the ingredients could cause an allergic reaction or other unwanted side effects. ‘My advice for parents would be to stick to old-fashioned honey and lemon, rest, lots of fluids and paracetamol and/or ibuprofen as per the pack instructions and, if symptoms persist beyond a few days or there are other worrying signs, consult a GP or pharmacist.’ He concluded.